A hot towel is a necessity for beauty treatments. 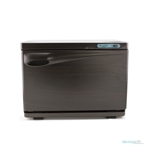 Hot towel cabinets ensure optimal temperature and also sanitize the towels. It is an occupational necessity for hygiene conscious beauty salons & spas. 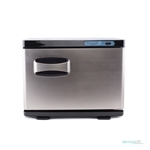 Select from a choice of elegant rust free hot towel cabinets or those with a built-in sterilizer. 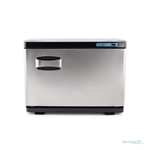 Available in single and double cabinet in different capacities, with exclusive temperature control for individual cabinets.